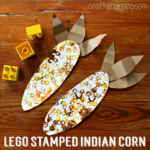 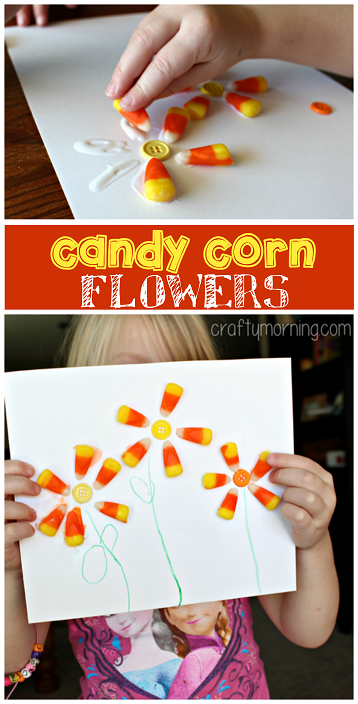 Here’s an easy craft for kids to make… candy corn flowers! 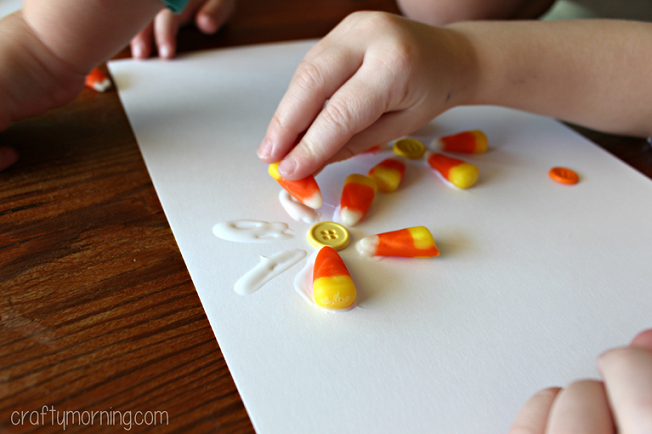 Instead of indulging in the candy make some pretty art with them. 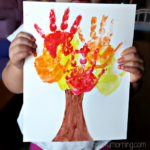 Children as young as toddlers/preschoolers can do this fine motor skill activity. 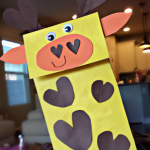 Have the kids glue a yellow or orange button on a piece of paper then put spots of glue around it. 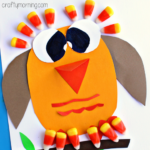 The kids can stick the candy corn to them. 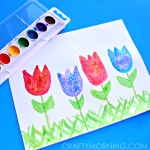 Give them a green crayon or marker to draw some stems and leaves to complete their beautiful flowers! Easy peasy! 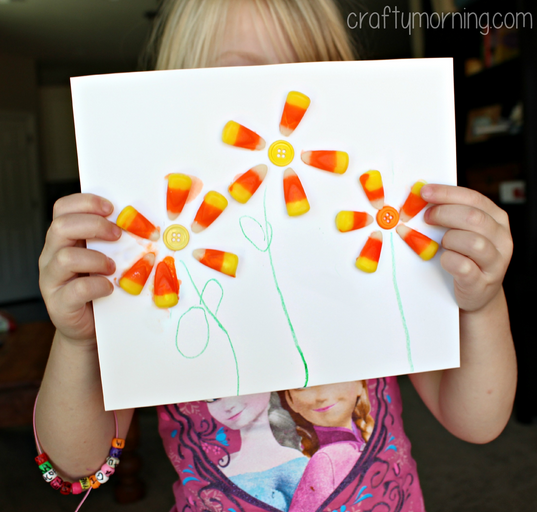 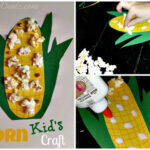 If you liked this one, check out my other fall crafts for kids!